Funds will support the development of non-opioid therapeutics for pain management. “The opioid crisis in the U.S. has created a critical need for safe and effective non-opioid solutions for managing pain,” said Stan Abel, President and Chief Executive Officer of SiteOne Therapeutics. 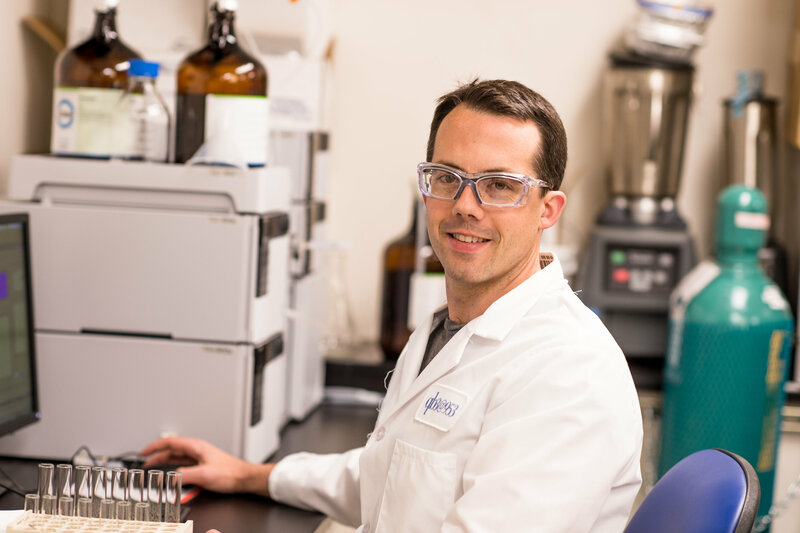 Headquartered in Bozeman, Montana, Abel’s company is dedicated to developing novel pain therapeutics and diagnostics to safely, effectively and efficiently treat acute and chronic pain without the limitations of existing pain therapies, such as NSAIDs or opioids. The technology used by SiteOne - highly selective voltage-gated sodium ion channel 1.7 (Naᵥ1.7) inhibitors based on naturally occurring small molecules - was licensed from Stanford University. The development of drugs with high levels of selectively for NaV1.7 has been challenging, however, because there are other sodium channels with fairly similar structures. SiteOne’s approach is to use natural sodium channel inhibitors as templates for the design of potent and selective drugs targeting NaV1.7. The company synthesizes naturally-occurring blockers that are designed to interact with the unique structural component of NaV1.7, providing selective targeting against other sodium channel subtypes, leading to blockage of pain without any major side effects. SiteOne has support from its founding investors and the National Institutes of Health (NIH) which contributed more than $3 million via a Small Business Innovation Research (SBIR) grant. More recently, SiteOne closed a $15 million series B round of financing led by Amgen and joined by founding investors Next Frontier Capital, 2M Companies Inc., Mission Bay Capital, Sears Capital Management, Biobrit LLC, and Z Investments. The company also signed a research and development agreement with Amgen in January 2017 to combine SiteOne’s novel Naᵥ1.7 inhibitors with Amgen’s neuroscience capabilities. “This Series B financing and collaboration with Amgen will allow us to accelerate the development of our Naᵥ1.7 therapeutic candidates in multiple potential applications for managing acute and chronic pain without the addiction potential and other significant side-effects of existing therapies,” Abel said. In early November 2017, SiteOne announced receipt of a $1 million research grant from the U.S. Department of Defense to support the development of highly selective small molecule Naᵥ1.7 inhibitors for the treatment of acute and chronic pain. Background image: Graphic rendering of the Site One sodium ion channel.